I have not blogged since March 26th - WHAT?! I have been crazy busy this last week. I am all moved in to my new apartment in Winona and I just finished my first week of orientation at my new job in Urgent Care. I thought I would update you all on the happenings from this last week. 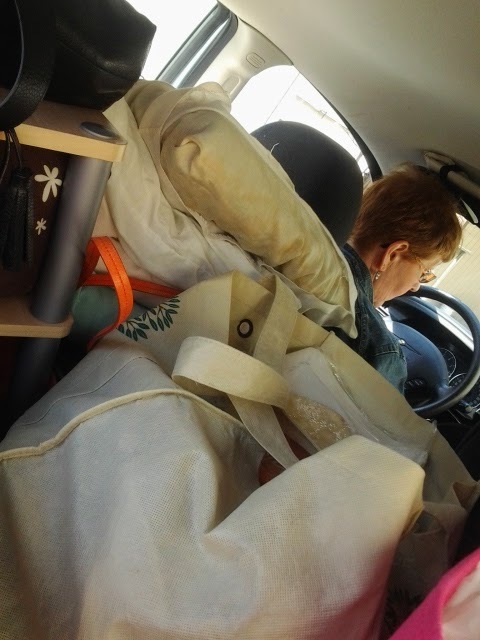 My mom, sister, and I loaded (and I mean - LOADED) up the car with all my crap and made the short drive to Winona. 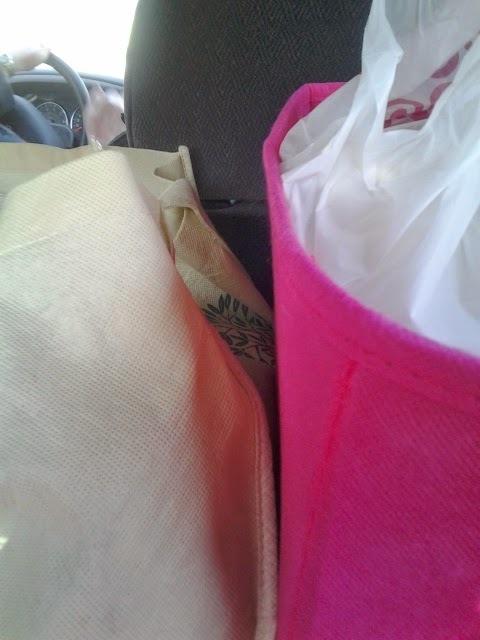 Those pictures were my view from where I was packed into the backseat with boxes and bags. I couldn't even wear shoes because I had stuff by the feet too! Sunday was spent unpacking and grocery shopping. Sleeping was.....interesting to say the least. 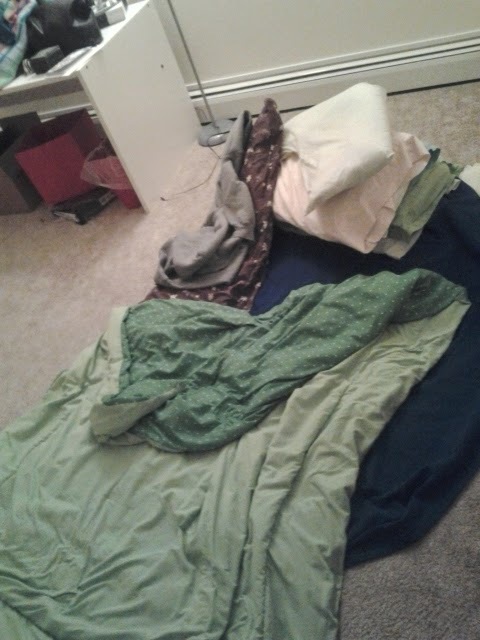 I didn't have my chair, couch, or bed yet. After getting only 3-4 hours of sleep because of that whole sleeping-on-the-floor jig, Monday morning was rough. 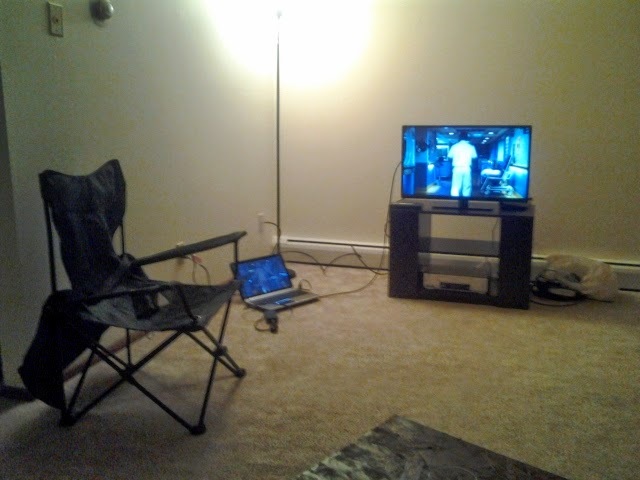 My mom stayed in town to be at my apartment while the furniture was delivered and the cable was hooked up. Fun story: my chair I bought fit up the stairs and into the apartment. The couch? Not so much. So they had to bring it back to Rochester and refund us and Monday afternoon (which was supposed to be spent unpacking) was spent searching around Winona for a new couch that would fit. Luckily, we found one that's almost the same color and fit perfectly. 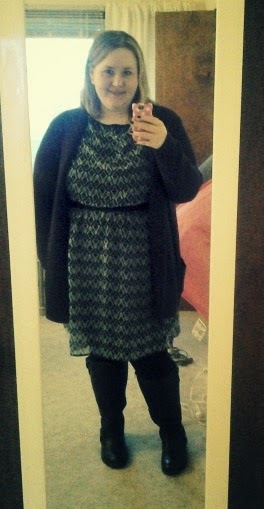 Monday morning I had general orientation for the organization I work for. Only 4 hours, but very boring. Although, I got a coupon for a free 30 minute massage out of the deal! My first day of floor orientation at Urgent Care! Within the first 4 hours, I knew I was going to absolutely love it. For the whole first day, I just shadowed the RN and took some vitals. And I've quickly learned that the Urgent Care is notorious for food apparently. Tuesday, we all got free Taco John's. Wednesday, they had a bunch of sandwiches from Winona Sandwich Company and Thursday, they had pizza delivered from Godfather's. I was able to start triaging my own patients with a little help from the other RN. This was also my first night all alone in my new place and it was so relaxing actually to not have anyone around. Does that sound bad? I started doing triage ALL BY MYSELF. And I got to go to the hospital and learn about port's (basically a thing beneath the skin where you can attach a needle and give someone fluids or meds without having to start a new IV everytime) and PICC lines. I also got to attempt to start an IV. I wasn't successful because I've only ever used the retractable needles and this one wasn't and was super awkward to use. Plus, I had to start it in the antecubital and I've only ever started them on the hand. I took it easy the rest of the night and watched some of the shows I DVR'd and laid on the couch and watched The Virgin Suicides. Low key nights are my fave. I have off today and this weekend, so I'm planning on doing laundry and trying to finish unpacking. Hopefully I'll get into a better groove with blogging and working. When I come home, I'm almost so tired I don't feel like writing!